This is a draft still in process, software is farther along than this document. My interest has drifted off for now, I will be back. Email me if you are interested in some quick ( not quite instant ) gratification. Status: working, but do to general lack of interest I am not updating this page, email me if you have a serious interest. 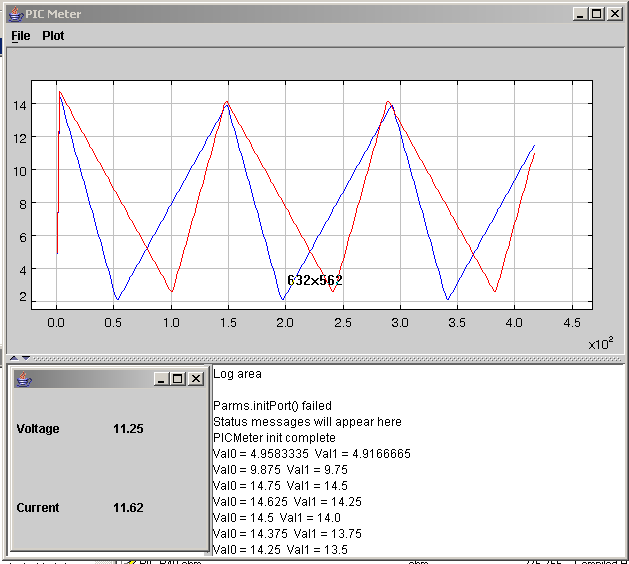 Record analog data from a USB Bit Whacker ( or similar device ) and both graph and log the data. Here is some detail on all the Graphical User Elements. See the list at RS232Probe Enhancements and Bugs a list for all the related applications. This page was last modified on 26 April 2010, at 12:30. This page has been accessed 13,099 times.